I do not see justification for that. It could be much faster or slower, and far more lumpy. Also, you started at zero. Some professions are already mostly handled by AI. Humans have been relegated to second-layer responders in these roles. I doubt it is going to be much slower unless some global disaster prevents this trend from continuing. But it could be faster. It is really difficult to keep track of everything that is happening today. Also, it is probably going to happen much faster in some countries than in others. 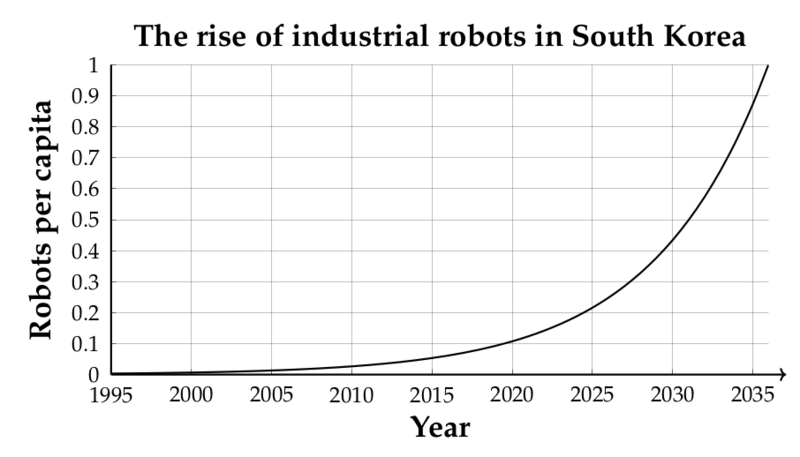 If South Korea gets completely automatized 10 years into the future, they could very well start to mass produce products to a much lower price than most other countries, and cause non-automatized companies to go bankrupt all over the world. 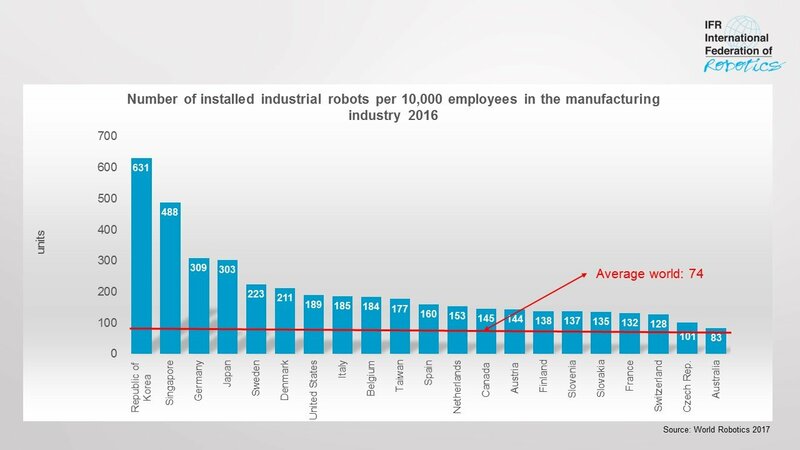 According to my calculations, South Korea should have about 2500 industrial robots per 10 000 employees in 2029, and about 10 000 industrial robots per 10 000 employees in 2039, if they increase the number of industrial robots by 15% each year. Why do I get a popup that Archania is aksing me for a password, when I visit this site? Can you please modify the behaviour of the host of the linked images, Zanthius? I think it would be best if a moderator deleted that post. I cannot modify or delete myself, because it is too old. PM me a link to the exact post so I can delete it. I don't want to guess which one(s) you mean. Of all these social engineering threads, honestly.